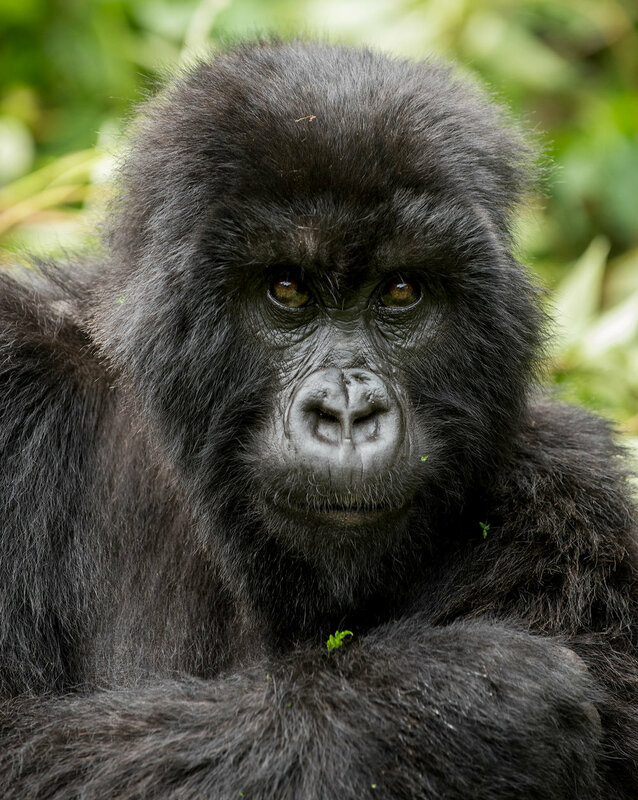 I don’t know exactly how long we were hiking before we came upon them, but I remember looking up, gulping for the thin air of the mountains and spotting two gorillas hanging from a tree. 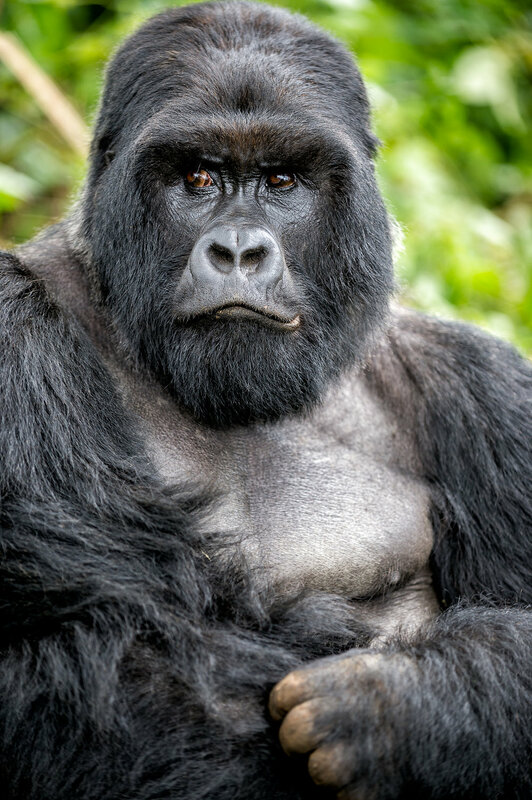 While gorillas are capable tree climbers, they are ground dwellers. Generally, if there are gorillas in trees, they are children at play. If you’ve ever doubted that animals are rather like humans, just a few minutes with a family of gorillas will dispel that notion. 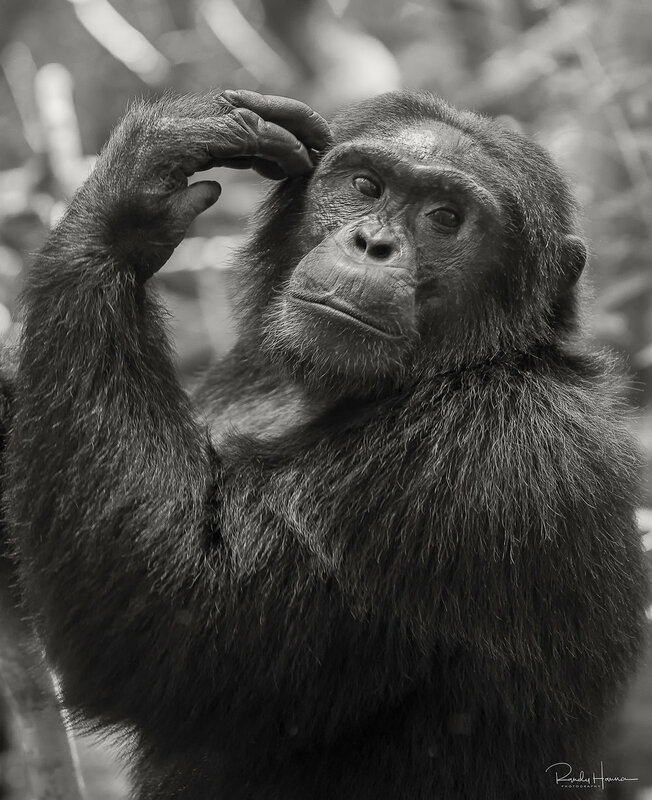 They may not be our closest genetic relative, but they are certainly our behavioral relatives. 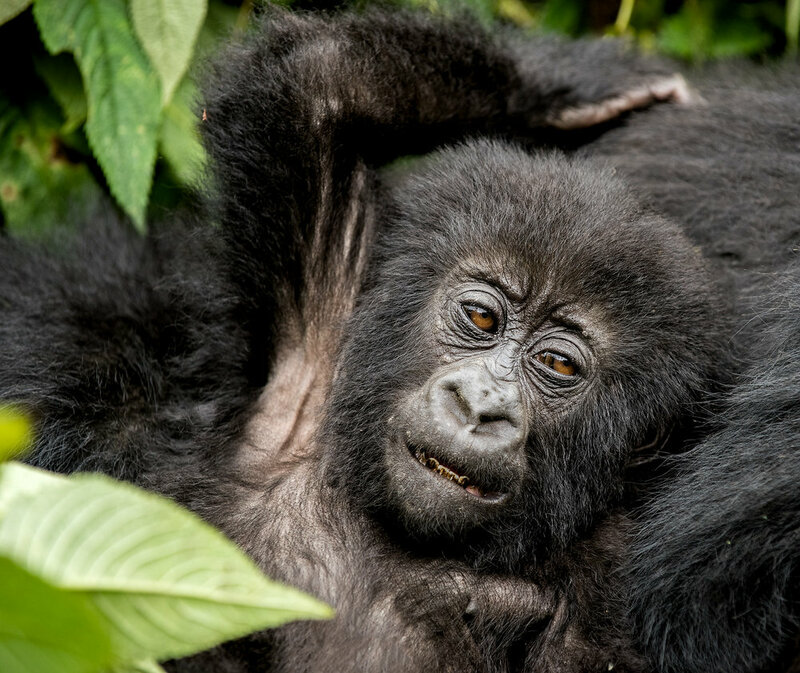 Above is excerpted from The Gorilla Trekking Experience by Sivani Babu. Join us in Uganda and Kenya for a safari like no other! We will focus on two of Africa’s iconic primate species, the mountain gorilla and the chimpanzee, followed by an opportunity to see not only the “Big Five” but so much more African wildlife. Apes in Africa are under increasing threat, and the reserves we’ll visit provide one of the last remaining strongholds for these animals anywhere in the world. We’ll be tracking habituated families on foot, with a chance to get quite close. Our goal is peaceful, meaningful encounters, with ample opportunity to capture great images of natural behaviors and interactions. For the mountain gorillas, we’ll be ideally situated inside Uganda’s Bwindi Impenetrable National Park, at Buhoma Lodge. Treks will start early in the morning. A minimum of two hours hiking is usually required to see the gorillas, but can involve a full day if they’ve moved a longer distance away. It’s all up to them, but either way it’ll be more than worth the effort! 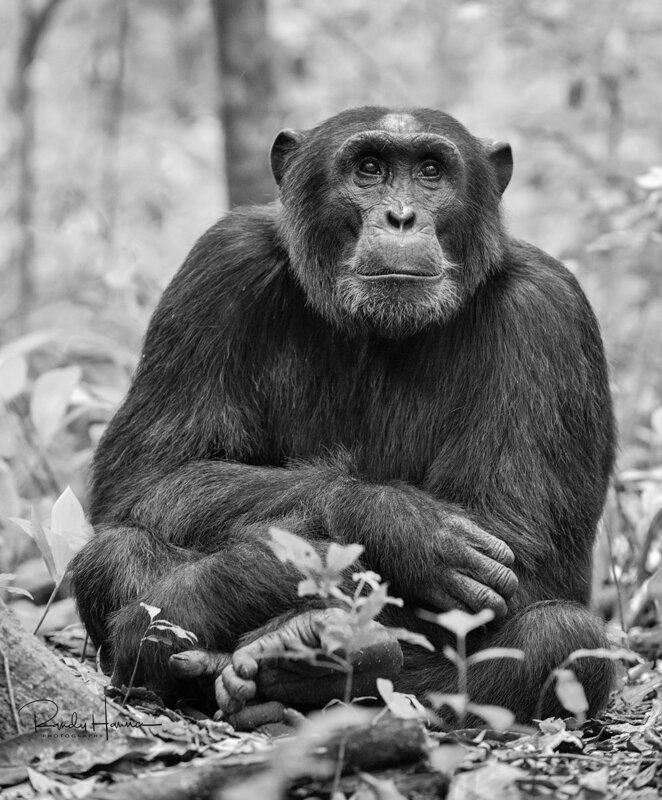 For the chimpanzees, we will be based at Primate Lodge, in Kibale National Park. The trailhead for chimp trekking is quite close to the lodge. 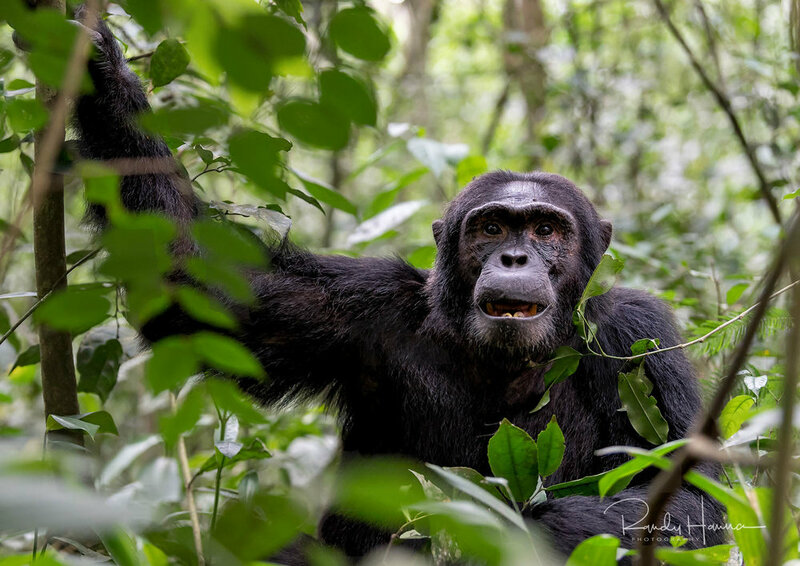 In addition to chimps, we’ll also be looking for other species of primate—forested, wildlife-rich Kibale is home to 13 species, including black-and-white colobus monkey, red colobus monkey, blue monkey, and L’Hoest’s monkey. After our time with the primates, we will make our way to Kenya, where we’ll spend four days in one of our favorite wildlife areas: Lewa. Situated near the base of Mt. Kenya—Africa’s second tallest mountain—Lewa Wilderness is one of Kenya’s oldest, most private, and most wildlife-rich safari ventures. The Craig family has passed down from one generation to the next a distinct passion for wildlife, conservation, and tourism, and they proudly continue to run Lewa Wilderness lodge with these tenets in mind. This place is as much a home as it is a truly unique and personal safari experience—while located in the Lewa Wildlife Conservancy, we’ll have the opportunity for rich game viewing without the crowds. 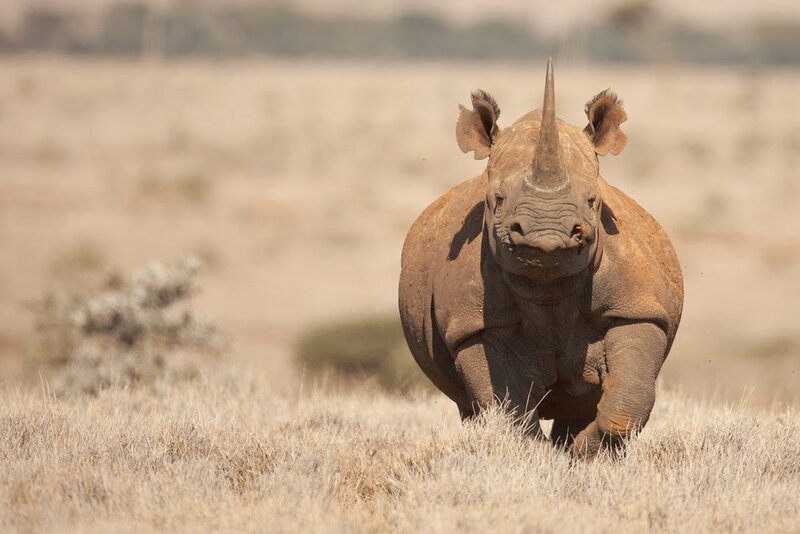 There is a very good chance of seeing all of the “Big Five” and Lewa is one of the only places where visitors regularly see both black and white rhinoceros. With the backdrop of snow-capped Mount Kenya and the diversity of scenery from open plains, rolling hills, valleys, escarpments and rivers, Lewa is perfect for our photographic safari experience. Travel between camps is by private bush planes and we have secured a generous extra weight allowance for our flights so that you can bring the necessary gear. Game drives will be in custom Land Cruisers with only one photographer per row. You will be expertly guided and taught by Sean Dundas, decades long safari guide and pro photographer. Sean actually grew up at Lewa Conservancy, so he really knows it like the back of his hand. Sean will be by your side the entire time, so you can expect plenty of photography instruction in the field, post-processing guidance, and image reviews. June 1, 2020: Arrive into Entebbe, Uganda, at any time today. Transfer to our lodge, and then meet us for a group dinner. June 2, 2020: After breakfast, we have a short ride to Entebbe airport, and then a flight to Bwindi. Check in to Buhoma Lodge, our home for the next three nights. 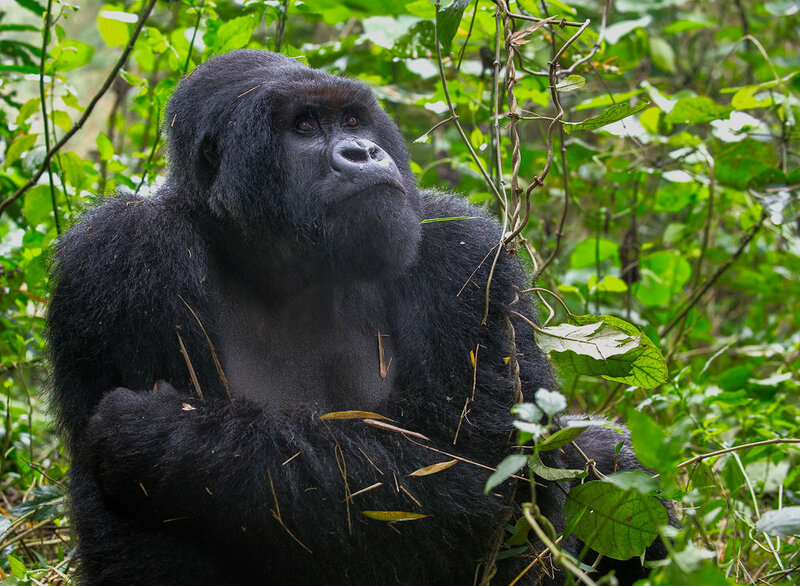 June 3–4, 2020: These days will be spent gorilla trekking in the Bwindi Inpenetrable Forest. We’ll return in the evenings to Buhoma Lodge. Our accommodation at Buhoma consists of ten chalets, constructed using sustainable materials. The beds are very comfy and en-suite facilities comprise flush toilet and spacious washbasin, with walk-in hot-water rain shower and/or bathtub. At the front of each chalet there is a lovely veranda, where you can take time between activities to marvel at the forest scenery. Buhoma’s communal areas are situated within a sustainable timber, stone, and thatch structure, which merges seamlessly with the surrounding forest. The lounge contains sofas and stools around coffee tables, in addition to a cozy fireplace, with the bar set up along the back wall. The bar provides free Wi-Fi and recharging facilities. Adjoining the lounge and bar is the dining space, which provides tables of various sizes and sturdy wooden chairs. Most of the furniture in the communal lodge is made of local wood, so you really feel part of the forest! And as the lodge is open-sided, you’ll be treated to expansive views over the national park while you relax, have a drink, and enjoy delicious meals. There is also a spa treatment room, where all overnight lodge guests receive a complimentary massage! June 5–7, 2020: After breakfast on the 17th, we’ll have a 30 minute flight to Kibale. 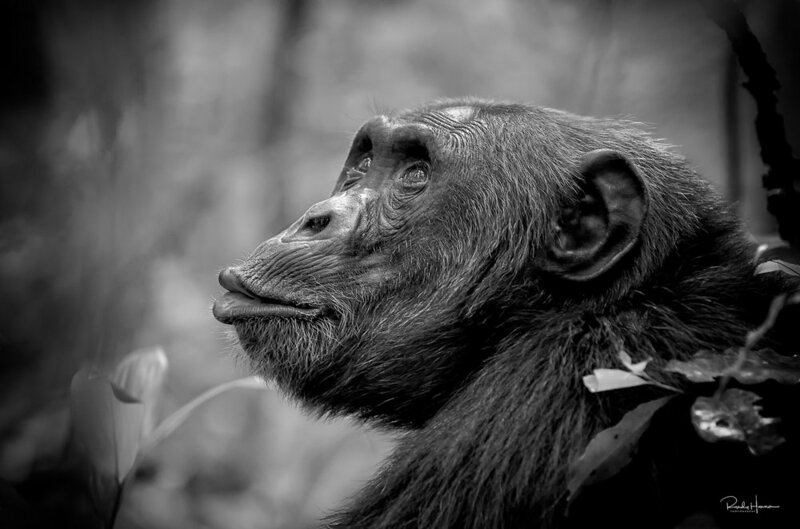 We’ll then make a short drive to Primate Lodge, where we’ll base our chimp trekking adventure. The cottages at Primate Lodge are positioned within the forest surrounding the communal buildings. Constructed from stone and timber, with a metal roof and glass windows, they have a sturdy and practical appearance. Glass-panelled doors lead into a spacious bedroom, large enough to accommodate either a king-size bed or two double beds. Amenities include mosquito nets, bedside tables and lighting, snug rugs, a separate lounge area, and lots of storage space. The en-suite facilities comprise a flush toilet, a washbasin, and a walk-in shower. Each cottage also comes with a private veranda, where you can relax and take in the forest views. The communal buildings are located close to the Kanyanchu Visitors’ Centre in Kibale. Constructed from timber and stone, they provide many comfy spaces where we’ll be able to relax and enjoy the forest scenery. The lounge area contains plenty of seating, as well as a small library, while the restaurant has elegant chairs flanking wooden tables and the lodge’s bar. There are charging facilities for electronic equipment and free Wi-Fi. There is also a craft shop, and the grounds include a big stone fire-pit—perfect for gatherings with fellow travelers to swap stories about your days out in Kibale. 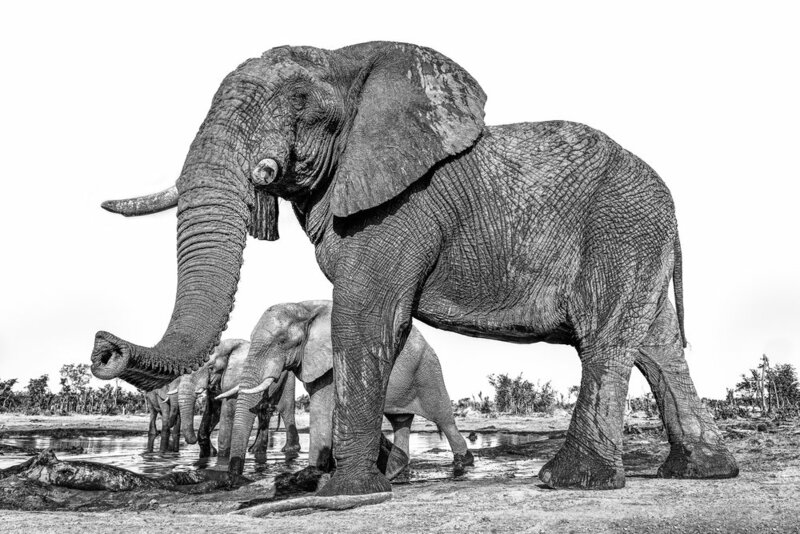 June 8, 2020: We fly from Entebbe, Uganda to Nairobi, Kenya, and then onward to Lewa Wilderness. 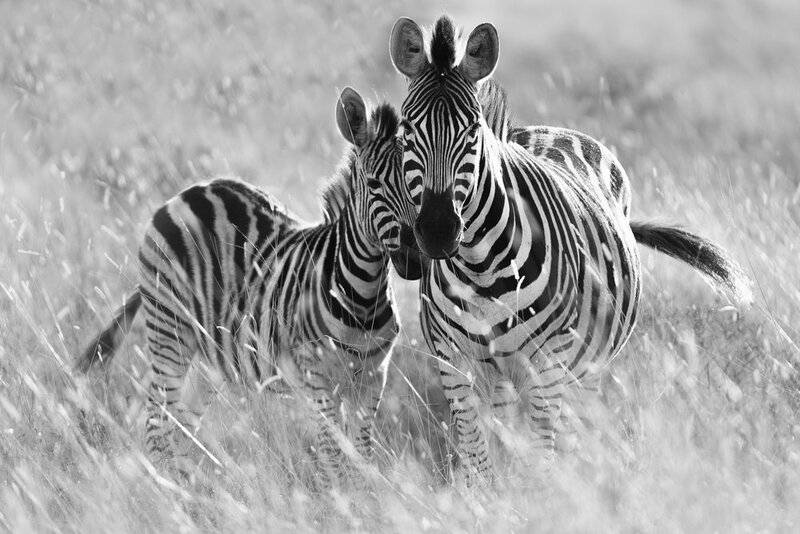 June 9–12, 2020: We are on safari at Lewa Conservancy, Kenya. The game viewing at Lewa is unmatched, and we guarantee you’ll be awed by the quality, quantity, and diversity of wildlife. Of course we’ll go on twice-daily game drives but you can also take advantage of other activities: walking safaris, horseback riding, and it’s even possible to book a ride in a vintage airplane! June 13, 2020: After breakfast, we’ll fly from Lewa to Nairobi, where we have day rooms at a lodge near the International airport. Flights home are anytime after 6:00 PM this day. In short, expect quite a bit of luxury! We’ve hand picked our camps for comfort, knowledgeable and friendly staff, and great food. Typical tented accommodations feature twin beds or a queen bed, high thread-count linens, storage for clothing, sitting area, verandah, and of course en-suite bathrooms with toilets, hot water, and showers. The spaces are enormous in size, bright, open, and airy. We also select our camps based on proximity and access to our main focus—the wildlife! Because we place a huge value on isolation and exclusivity, you won't find us in areas where there are dozens of other vehicles at a sighting. Our days start early, before sunrise. We’ll have a quick coffee or tea, maybe a snack, and head off on our first game drive of the day. The animals are just starting to stir as the day starts, and we want to be there in the best light. We’ll stay out for a few to several hours, depending on the sightings. After a mid-drive coffee break, we’ll continue on until mid- to late morning. We typically have breakfast in the field, so as to maximize our game-viewing and photography time. Back in camp, it’s time for offloading cards, one-on-one instruction, or just taking time to relax and do nothing. Read a book, go for a walk, or take a nap and recharge. Of course there will be lunch, and then In the mid- to late afternoon, we’ll head out for another game drive, and maybe a sunset cocktail in the bush. Arrive back at camp after sundown, enjoy a hot shower if you like, and then join us by the campfire or in the living area for cocktails and dinner. Food in our camps is superb—you’ll be served foods that you know well, and also have an opportunity to try local specialties. Of course, any dietary needs can be accommodated. We’ve arranged for the best safari vehicles—custom Land Cruisers with plenty of room for you and your gear. There will be enough vehicles for each photographer to have their own row of seats, ensuring best visibility. We know you have choices, and yes, you can find other safaris where you’ll spend less. Our aim is to give you the best possible experience, maximizing your time and minimizing the hassle, while providing the best photographic experience and instruction available anywhere. Details Matter: Our itinerary is carefully set to bring you the all the best that a region offers. We arrange things so that we're in areas that are not overly crowded with other safari vehicles, and we get off-road when possible, close to the action and our subjects. Photography Instruction: This is a workshop, not just a tour. You will work hard on this safari, with instruction in the field and in camp. Many evenings feature critiques and post-processing instruction after dinner, and during the daytime we offer one-on-one instruction as needed. You’ll come away with a wealth of new knowledge on how to create great images, and how to best process those images in Lightroom and Photoshop. Years of Experience—Happy Repeat Customers: We’ve been leading, guiding and teaching photographers for a long time—and we have thrilled customers who come back on our workshops again and again to prove it. If you’d like to speak to someone who has been with us on a workshop or safari, just let us know—we’d be happy to arrange a phone call. Air travel from your home to Entebbe, Uganda, and home from Nairobi, Kenya. Any meals and accommodations before or after the workshop dates. Medical Evacuation Insurance (required). Travel Medical and Trip Cancellation Insurance (recommended). Items of a personal nature. Alcoholic beverages. Anything not specifically listed as included. Your non-refundable deposit of $6,000 will hold your place on this workshop. Further non-refundable payment of $6,000 is due on October 1, 2019. Final non-refundable balance payment is due by March 1, 2020. All payments are non-refundable and this is why you should have comprehensive travel insurance including trip cancelation. All of our other standard terms and conditions apply. An exceptional opportunity to get up close with primates, followed by an exclusive safari in one Kenya’s best wildlife preserves! We’re a small group, only seven guests maximum, so claim your spot now and we’ll see you in Africa! 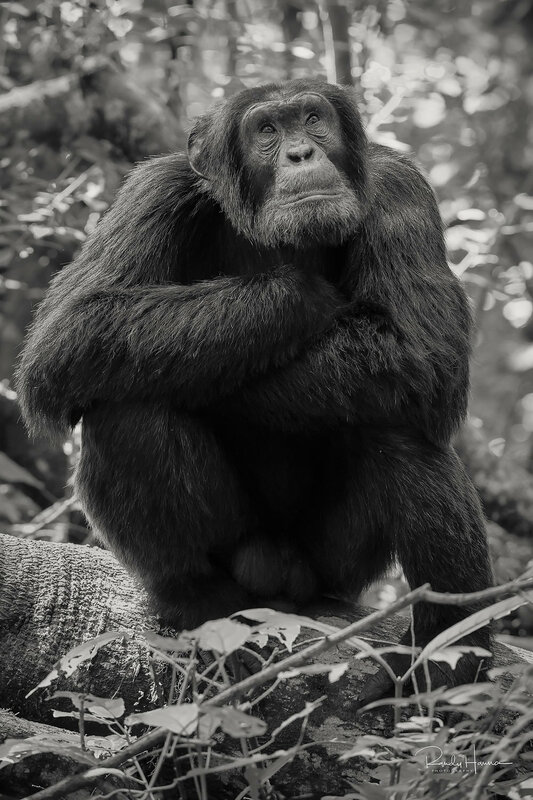 Beautiful gorilla and chimp photos courtesy of Muench Workshops pro Randy Hanna.